Violating Google’s Webmaster Guidelines can earn your website the scarlet letter of a Google penalty. As Google algorithms get updated to better serve the needs of its users, your website must follow protocol to sustain or increase its ranking on search engine results pages (SERP). Has your plumbing website already been hit with a Google algorithm penalty? Plumbing Webmasters offers services to both diagnose and correct your Google penalization. 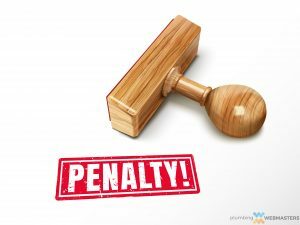 If you are worried about future Google penalties for your plumbing website, we can ease your concerns. We will walk you through all aspects of Google algorithm changes and the penalty recovery process. These are some of the common questions. How Long Does Google Penalty Recovery Take for Plumber Websites? What’s The Difference Between Manual Google Penalties and Algorithm Updates? How Can You Tell if Your Plumbing Company Site Has Been Penalized by Google Penguin? Google search algorithm penalties generally result from intentionally manipulative behavior. Algorithms are designed to enhance user experience and weed out low-quality websites of little use to users. If you have any experience surfing the internet, you know spam when you see it. Keeping spam off your website isn’t difficult unless you’ve been hacked, in which case you should get in touch with our team right away. Other causes for Google penalization include; link schemes, content scraping, keyword stuffing, hidden text, and doorway pages. If you ceased control of your website to a third party that you suspect is using some of these manipulative tactics, we can help you regain control. In addition, our backlink monitoring services help you avoid future penalties caused by low-quality link associations. 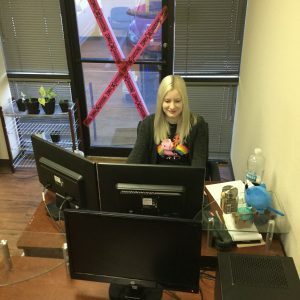 Give the plumber SEO experts of Plumbing Webmasters a call at (877) 388-9884 to learn more about how Google algorithm penalties and how to recover from them. Algorithm changes and tweaks can have a significant impact on website rankings. When you consider the secretive and fluid nature of these updates, it can be very difficult to maintain top rankings on SERPs. At Plumbing Webmasters, we are experts in search engine optimization. We are constantly learning and adapting to keep pace with Google algorithms. We offer comprehensive SEO services and are capable of managing every aspect of your plumbing internet marketing. This includes the expansion of web presence, the research, and targeting of keywords, and the eventual improvement of search rankings. Google updates can be confusing and frustrating for web developers. If you make mistakes, Google reserves the right to lower your rank or take you off of SERPs entirely. At Plumbing Webmasters, we strictly abide by Google’s Webmaster Guidelines. We never participate in black hat SEO techniques and avoid any type of behavior that will hurt your URL’s reputation or negatively influence your ranking potential. For a website that you can be sure adheres to Google’s requirements, call Plumbing Webmasters at (877) 388-9884. There have been several major Google algorithm updates, with each of them listed below. In addition to major updates, Google releases hundreds of minor tweaks and updates every year that are not heavily publicized, but can still have a dramatic effect on your website’s rankings. But what is Google’s latest algorithm? Panda: Released in 2011, Panda is known for filtering out low-quality content that negatively affects user experience. For example, low-quality articles from content farms stuffed with keywords and full of other black hat SEO tactics. Penguin: Released in 2012, Penguin is one of the most notorious algorithm updates in the SEO community. The Google Penguin update is known for its aggressive penalizations of unnatural link building and link schemes. This update tanked many top ranking websites that were manipulating search results with low-quality backlinks. Hummingbird: An extremely significant algorithm released in 2013, Hummingbird is most known for its improvement of search results and user experience. Hummingbird is less concerned with keywords and more concerned with the keyword’s intent. Pigeon: Released in 2014, Pigeon is primarily focused on mapping and location data, in order to provide more accurate results to mobile users. Mobile: Released in 2015, Mobile ensures that mobile-friendly pages rank on the top of mobile search results. This update accounts for the increased usage in mobile devices across the world. Possum: Released in 2016. Possum further optimizes searches based on the user’s location in relation to the results of nearby businesses and other entities. Medic Google released this update in 2018. Most experts agree that it is geared toward improving search results as related to user intent. For many plumbing website owners, Google algorithms have a massive impact on rankings. However, the majority of our plumbing company clients appear to be heavily affected by the Penguin update. If your website relied on low-quality or scraped content, and spammy link building tactics like link schemes, your website likely suffered significant Google penalties. Backlinks are an essential part of increasing search engine rankings, but it is critical to use the proper link building techniques. Ethical link building strategies post-penguin are difficult for many website managers to understand. 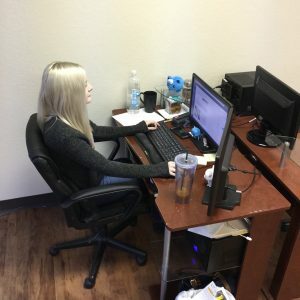 If you are unsure what ethical link building techniques to use, give our experts a call. We specialize in organic SEO service for plumbers, as well as Google penalty recovery. Our team of specialists is trained to comply with Google’s quality guidelines to ensure we never incur Google algorithm penalties for plumbing contractors like you. Contact Plumbing Webmasters at (877) 388-9884 to learn more about how Google algorithms affect your plumbing business’ online presence.